VIN TABLE LLC is a manufacturer, and wholesaler of bungs and stoppers. Originally founded in 1986, they began as an exclusive importer of Grape Vine VIN TABLE China. 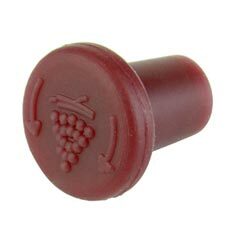 Today, VIN TABLE is best known for its original Silicone Wine Bottle Stoppers used to recork open wine bottles. Their bungs are created from FDA approved - food grade silicone, designed for safety and easy sterilization. VIN TABLE's patented bungs are made in the USA.